Social media posts by DJ Steve Aoki and MONSTA X confirm that the group’s song “Play It Cool” will have an English version. 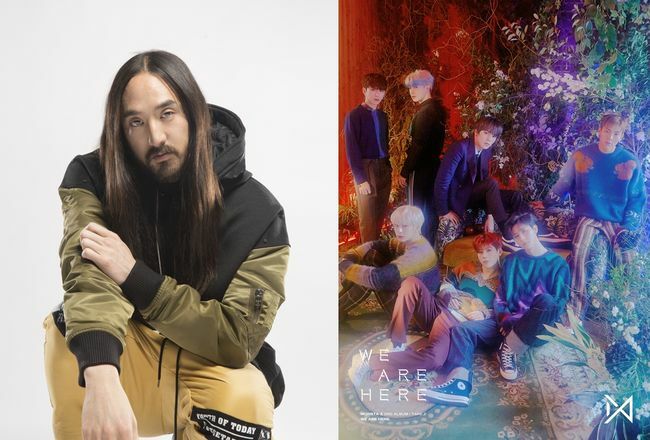 Earlier this week, DJ and producer Steve Aoki posted a message on social media where he announced that the English version of MONSTA X’s song “Play It Cool” is scheduled to be released this Friday. Following his announcement, MONSTA X’s retweeted his message on its official account confirming the news. Fans of the group praised the song for its clean and refined vibe. In particular, rapper Joohoney participated as a vocalist for the first time. Moreover, with member I.M. helping to craft the rap parts of the song, he was able to achieve a different sound that deviated from the powerful and intense music that the group is known for. Meanwhile, “Play It Cool” will come out on Friday in the United States, and Saturday in Korea. It will be available on music sites worldwide.